The heparin-induced thrombocytopenia expert probability (HEP) score is a tool that can potentially aid in diagnosing patients with suspected HIT, and to avoid expensive HIT workups in some patients. The HIT Expert Probability (HEP) Score is a tool developed based on broad expert opinion to help clinicians rule out HIT. Eight clinical features potentially important in the diagnosis of HIT identified via literature review were incorporated into a questionnaire and distributed to independent HIT experts that regularly diagnose and treat HIT. Clinicians then weighed each feature on a scale of -3 to 3 with more positive numbers arguing in favor of HIT. Median weights were then incorporated into a pre-test probability model, the HEP score. Score was then prospectively applied to fifty consecutive patients referred to a single reference laboratory for HIT testing. HIT was diagnosed by consensus of three independent HIT expert adjudicators reviewing the clinical information and lab results including polyspecific HIT antibody ELISA and in-house SRA. Study found that a HEP score cut off of 2 would lead to 100% sensitivity and 60% specificity while a cut off of 5 would maximize sensitivity/specificity at 86% and 88%, respectively, in the cohort of patients analyzed. This was superior to the 4Ts for HIT Score. Validation study was very small at 50 patients, highly heterogeneous, and all done at a single large academic health care system. All determinations of HIT were done based on chart review. Score was derived based purely on expert opinion and the confirmatory diagnosis of HIT was also based on the consensus of an expert panel. A subsequent small (47 patients) retrospective study comparing the performance of the 4T’s scoring system vs HEP in suspected HIT patients, using a positive HPA as the gold standard for diagnosis of HIT, found no statistically significant difference in the diagnostic performance of the scores. It also demonstrated only a 70% sensitivity for the diagnosis of HIT at the previously proposed HEP score cut-off of 2. There are no large scale or prospective studies validating the HEP score. The work-up for HIT is time-consuming and expensive. The HEP score could be used as a tool to avoid initiating work-up for HIT and/or empiric substitution of heparin for another anti-coagulant. Consider using the 4Ts scoring system in conjunction with the HEP score as an alternative evaluation tool prior to time-consuming antibody testing for HIT or empiric substitution of heparin for another anti-coagulant. Consider further laboratory evaluation for HIT or switching to a non-heparin derived anti-coagulant in those patients that are above the screening threshold for HIT based on their HEP score. Larger studies of the HEP score are likely necessary prior to broader independent implementation. In 50 suspected HIT patients, a literature review and expert-derived criteria of eight clinical features potentially important in the diagnosis of HIT were retrospectively applied in order to derive a HIT Expert Probability score for each patient. This score was then compared to a diagnosis of HIT by an expert panel of HIT experts. Using a cut-off of 2, the HEP score was 100% sensitive and 60% specific for the diagnosis of HIT. A cut-off of 5 yielded a sensitivity/specificity of 86%/88%, though its utility as a clinical decision tool is lessened with this cut-off. Both the HEP score and the 4Ts for HIT score had 100% sensitivity, but the HEP score had a higher specificity (60% vs 44%). A subsequent small validation study involving 47 patients with suspect HIT using a HEP score cut-off of 2 had a sensitivity of just 70% with a specificity of 51.4% and accuracy of 55.3%. A HEP score cut-off of -3 would be needed to yield a sensitivity of 100% as in the derivation study, but would also cause a fall in specificity to 2.7%. Cuker A, Arepally G, Crowther MA, Rice L, Datko F, Hook K, Propert KJ, Kuter DJ, Ortel TL, Konkle BA, Cines DB. The HIT Expert Probability (HEP) Score: a novel pre-test probability model for heparin-induced thrombocytopenia based on broad expert opinion. J Thromb Haemost 2010; 8: 2642–50. Lee Joseph, Gomes MPV, Al Solaiman F, St John J, Ozaki A, Raju M, Dhariwal M, Kim ESH. External Validation Of The HIT Expert Probability (HEP) Score, a Novel Pre-Test Probability Model For Heparin-Induced Thrombocytopenia Based On Broad Expert Opinion. Blood (Impact Factor: 9.06). 12/2013; 122(21):1699. Why did you develop the HIT Expert Probability score? Was there a clinical experience that inspired you to create this tool for clinicians? As a first year hematology fellow, the most common reason for consultation in the hospital was suspected HIT. Often, the evaluations were not altogether satisfying. Perhaps out of fear of missing cases of true HIT and because of the poor specificity of the HIT ELISA, I felt that over-diagnosis and unnecessary treatment in patients without HIT was common. Using drugs like argatroban in patients without HIT was not only costly but also exposed patients to increased bleeding risk without clear benefit. My goal was and continues to be to curb over-treatment and improve the diagnosis of HIT. What pearls, pitfalls and/or tips do you have for users of the HIT Expert Probability score? Are there cases when it has been applied, interpreted, or used inappropriately? In my opinion, the HEP score is not yet ready for clinical use. We are nearing completion of a large prospective study that compares the diagnostic accuracy of the HEP score to the 4Ts (another scoring system) and usual care. The results of this study should help us to understand the optimal method for estimating the pre-test probability of HIT. What recommendations do you have for health care providers once they have applied the HIT Expert Probability score? Are there any adjustments or updates you would make to the score given recent changes in medicine? No, but as above, I would caution that the HEP score has not been prospectively validated or compared with other methods of clinical diagnosis. A study addressing these gaps will be completed soon. How would you compare the HIT Expert Probability score with other scores assessing risk of HIT? The most extensively studied scoring system for HIT is the 4T score. The 4T score is a robust means of excluding HIT -- a low probability 4T score has a negative predictive value of 99.8%. The positive predictive value is not as strong. The PPV of an intermediate and high probability score is 14% and 65%, respectively. The 4T score is also somewhat subjective and associated with suboptimal interobserver agreement. It remains to be seen how the HEP score fares in comparison to the 4T score in a prospective study. Adam Cuker, MD, MS, is a board certified physician in Internal Medicine and Hematology and an assistant professor of medicine at the Hospital of the University of Pennsylvania. 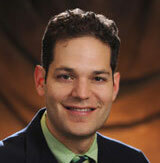 His clinical expertise is in clotting, bleeding and platelet disorders. Dr. Cuker's research interests include heparin-induced thrombocytopenia, immune thrombocytopenia, thrombosis and anti-coagulation.